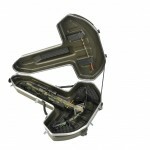 Hey there, and welcome to our review of the SKB Hunter Series Crossbow Case (amazon.com link). SKB is well known for their travel cases for sensitive electronics and touring sound system crates, so I was excited to try out their crossbow case. The fact that SKB provides $1,500 worth of content coverage for your crossbow was definitely encouraging. 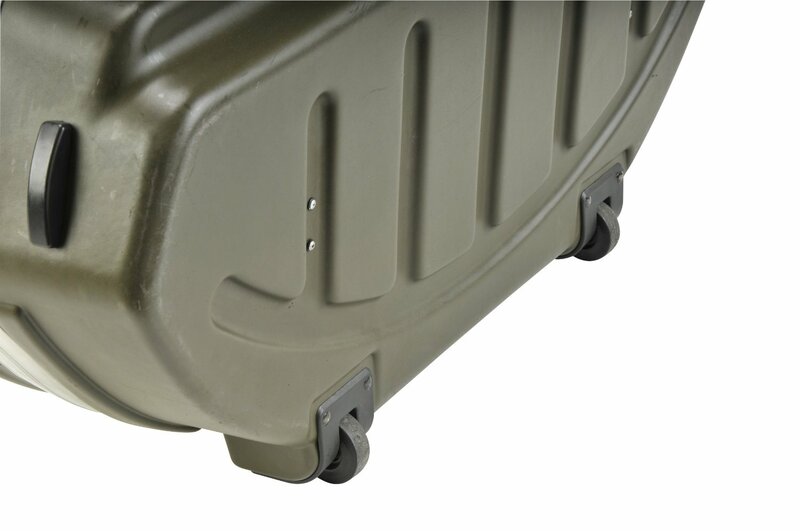 Read on to see how well this case stands up to the rigors of traveling with a crossbow. What’s the Crossbow Case Made Of? 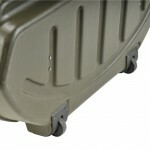 The exterior of the SKB Hunter Series Crossbow case is made from ABS hard-shell plastic, and is very durable and rugged. The interior features ridged EPS foam inserts, and the corners have molded-in bumpers to protect your bow from impacts. The latches are lockable draw-bolt latches, and are metal pressure twist latches to stay securely closed. All of the contact points of the case are metal, and the case has a moisture-resistant gasket between the two halves to keep water out. One truly nice feature of this case is the inclusion of wheels for rolling the case instead of having to carry it. This makes it very easy to carry through the airport, and the comfortable carrying handles are sized nicely with adequate padding. A shoulder strap would have been nice, but very few hard-shell crossbow cases have shoulder straps. 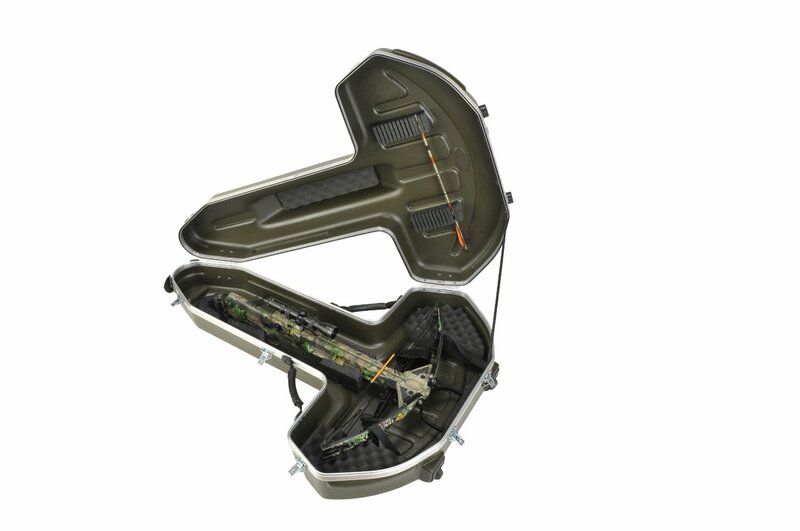 What Size Crossbow Will the SKB Hunter Series Case Fit? This case fits just about any crossbow you might have, including models by Horton, Barnett, Parker, Diamond, Ten Point, and more. Even my Excalibur recurve crossbow fits nicely in this case, which was a pleasant surprise. The interior straps are adjustable nylon with clasps to hold them secure. My only problem with this case is that the straps were able to work their way loose a bit, so my crossbow moves around in the case. It would have been better, I think, to use hook and loop fastener straps to secure the crossbow and accessories in the interior of the case. How Resistant is the Crossbow Case to Tearing? Since this is a hard-shell case, it is very resistant to tearing. In fact, I’ve flown with my crossbow in this case; at the end of my trip, the case still looked like new, despite how rough baggage handlers tend to be on luggage. 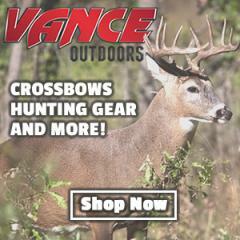 How Weather-Resistant is the Crossbow Case? The gasket between the two halves keeps out dirt, dust and moisture from the case. I wouldn’t drop this case in the river, but you certainly don’t have to worry about rain seeping in when you are carrying the case outdoors. There aren’t any extra pockets in the case, but it does feature waterjet bolt holders to carry up to a dozen bolts. 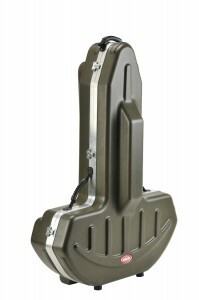 Thanks for reading our review of the SKB Hunter Series Crossbow Case. If you are looking for an excellent case that will protect your crossbow during your travels, this is an excellent choice. See Amazon.com’s price on this case if you’re interested in purchasing.